In any working environment, safety is key—you need to have the right training and the proper certification. 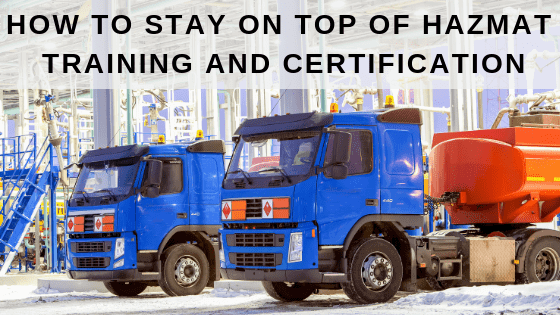 When it comes to handling hazardous materials, it can be confusing at first to understand training requirements and how they translate to different types of operations, such as automotive, aerospace, construction, manufacturing, and more. We put together a complete guide that explains how you can stay on top of OSHA HAZMAT training and requirements. When you’re aware of how the endorsement process works, you don’t have to worry about the possibility that you may possess expired credentials. Why do I need a HazMat certification and endorsement? 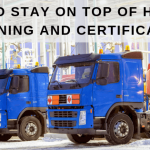 You need a hazmat certification because DOT requires that you maintain national and international safety standards for the transportation of hazardous substances. Each mode of transportation has its own set of regulations. FedEx, UPS, DHL, or other carriers will ask to see this certification in order to send out the hazmat. The hazmat certification can be obtained at any time online or at a training facilitly. Once you have this certification you may be able to start shipping or transporting immediately unless you need an endorsement. Employees are required to renew their certifications every three years. How long does it take to get your HazMat training and certification? You become familiar with shipping, transporting, and manufacturing regulations. Employees need this type of training at the minimum. You’re trained on the specific functions you need to perform on the job site. 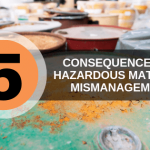 You learn about the dangerous of hazardous materials and ways to avoid accidents. Even with the best prevention methods, accidents can still happen! You receive a general understanding of transportation security risks. From objectives and procedures to employee responsibilities and more, you receive a detailed understanding of your company’s security plan. After you’ve completed these HazMat employee training modules, you may be ready to start shipping unless you need the endorsement. Does my HazMat certification expire? Yes, you must renew your certificate every three years from the date on your last certification. This can be done online. How do I apply for the HazMat endorsement? Additionally, you’ll need to pay any applicable fees. Costs and requirements vary by state, but you typically pay for background check and information collection fees. You may be ineligible for an endorsement if you provide false information or possess disqualifying criminal offenses. You should receive a mailed response from the TSA about 30-45 days after you submit fingerprints and provide the relevant documents for your background checks. After everything is approved, you can apply for certification and receive endorsement. If you don’t have a TSA security threat assessment on file, you can’t take the written test. You must submit all pertinent paperwork and get the majority of the answers correct on the written test for endorsement approval. Does my HazMat endorsement expire? In short, yes—you must renew it every five years from the date you received approval. Keep in mind that this may be sooner depending on your state’s requirements. To successfully do this, you must renew your HazMat endorsement before it expires. In certain states, it may expire when your state-issued commercial driver’s license expires. 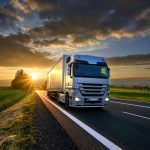 You must always keep your CDL current, or it may affect the endorsement application process. Therefore, you should apply to renew your CDL before you apply for HazMat endorsement. This gives you enough time to meet all the requirements. Generally, you’ll receive notification 60 days before your endorsement expires. 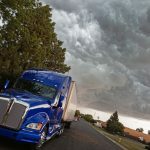 If you don’t renew your endorsement, it won’t appear on your current CDL. You won’t lose your license, but you’ll only be able to transport non-hazardous cargo. When your endorsement expires, you need to repeat the training in its entirety. When you renew your HME, you must submit new fingerprints. Fingerprints are done by appointment only, and even if you’ve already submitted them for another application, you’ll need to provide them again. You may also need to complete written competency tests again, too. If needed, you can transfer your HME to a new state. If you’re shipping hazardous materials internationally, you’ll need additional training—IATA Dangerous Goods Training for air shipments and IMDG Training for vessel shipments. If you’re looking for an easy, stress-free way to earn your HazMat certification, HazMat School ensures you’ll receive it fast. Our company offers online courses that we tailor to individuals in a variety of industries. We’re proud to serve over 20,000 students every year and are committed to helping them achieve excellence. You can access the course catalog from our easy-to-use online interface. Our catalog includes high-quality certification courses that fully comply with DOT, EPA, and OSHA requirements. Simply enroll in the courses you need to take, and once you complete and pass them, we’ll provide you with official certificates. It doesn’t matter where you live—we’ll make sure you’re certified. Enroll today!